Our foundation serves this purpose through educating and certifying coaches, by conducting local, regional, national and international golf championships and by providing tools and programs that allow golf courses to scale their designs, allowing for young and new players to enjoy golf without feeling unwelcome or intimidated. Since our inception in 2001, more than 1 million young golfers have been positively impacted through the efforts of the U.S. Kids Golf Foundation. Longleaf is a nationally-renowned facility that boasts a championship golf course, sparkling pool, great dining amenities, the U.S. Kids Golf Academy, and the best memberships in the Sandhills region. The U.S. Kids Golf Academy seeks to serve every member of the family. Our programs benefit players of every age based on proven models of learning, simple and repeatable swing development, use of goal-planning booklets, and most of all, making golf a fun endeavor. The Foundation, through its Tournament Players Association (TPA), organizes more than 1,000 golf tournaments for kids each year, with over 10,000 individual players ages 5-14. Learn more about our age groups, yardages, rules, and much more. U.S. 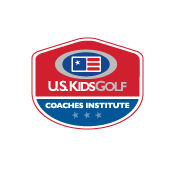 Kids Golf Certified Coaches are experts in teaching golf to kids ages 12 & under. This unique group learns to leverage their expertise by understanding club fitting for young golfers, utilizing an established curriculum featuring game-based learning methods, offer playing opportunities on the golf course from scaled yardages and communicate effectively with parents.. The U.S. Kids Golf Foundation is a Georgia non-profit recognized as a 501(c)(3) public charity created in 2001.